COME AND SEE WHAT MOVE-IN READY truly means! 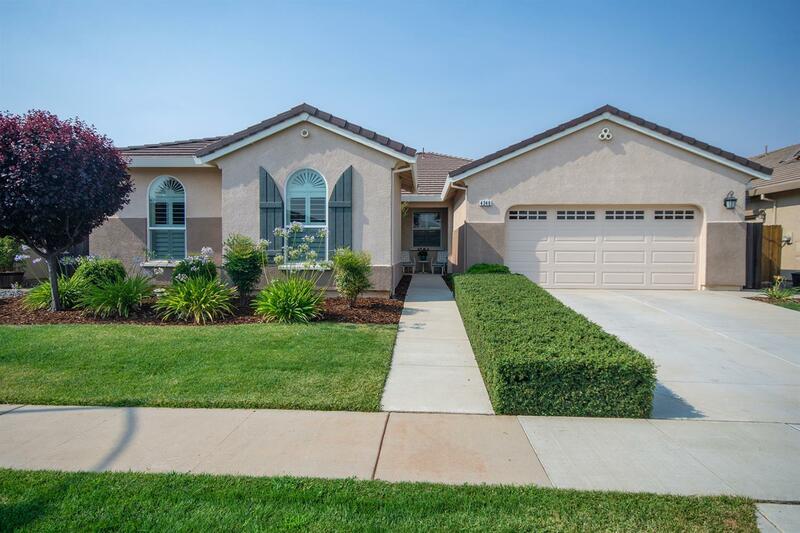 This meticulously maintained Woodside Home located in Sunridge Park is a single-story (3-5) bedroom 2 bath solar home w/ over $50K in builder/owner upgrades. 4th Bedroom was converted by builder to a separate Den. The addition of a Bonus Room/Office (possible 5th bedroom) was also added by builder. Includes a Private courtyard entry, with elegant interior arches & custom Hunter Douglas shutters throughout. Kitchen features upgraded cabinets, granite slab countertops with bullnose edge and an 8-ft island with custom sink. Venetian marble vanity surfaces in baths, 9-ft ceilings throughout with custom 2-tone interior paint. Pre-wired for surround sound with exterior deck speaker wiring. Pre-wired for security system and overhead kitchen, master bedroom, and Great Room lighting. Includes a paid-in-full solar lease with NO MONTHLY SOLAR PAYMENTS! NO HOA! Walking distance to the community Sunridge Park.